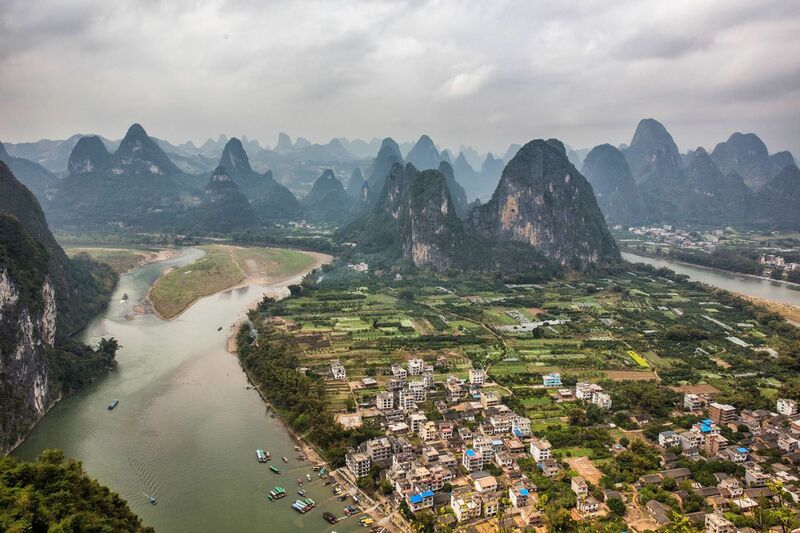 This is what draws people from around the world to Yangshuo, China: the towering, leafy limestone peaks along the Li River. 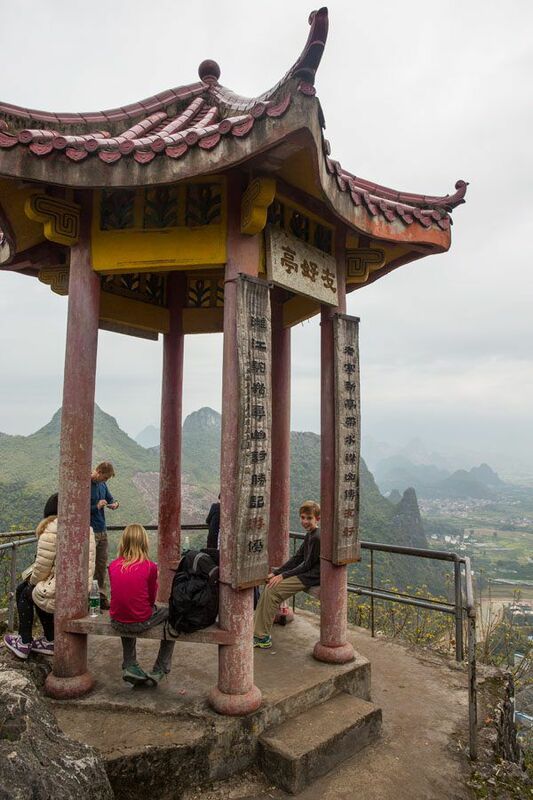 Yes, we loved Yangshuo, but it is great to get out into the surrounding countryside for at least a day if your schedule allows. 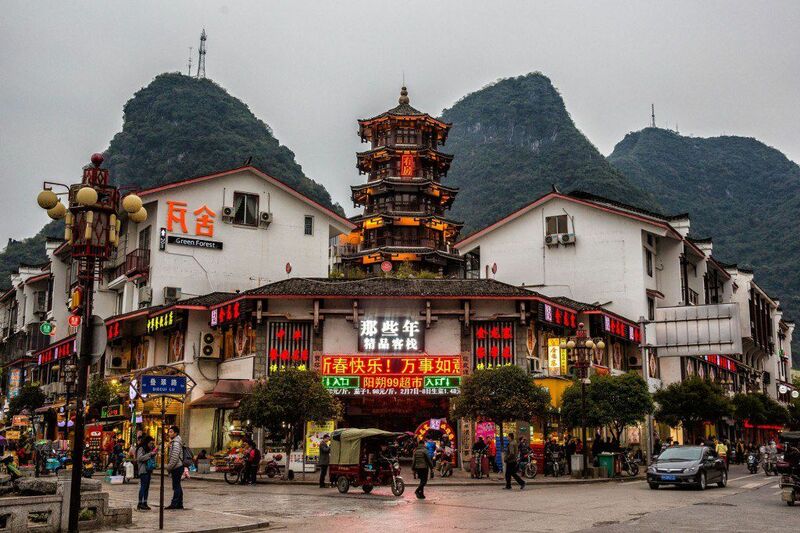 We chose to visit the small town of Xingping, located just a half an hour north of Yangshuo by car. It was here that we had another one of those days that made us fall in love with China even more. 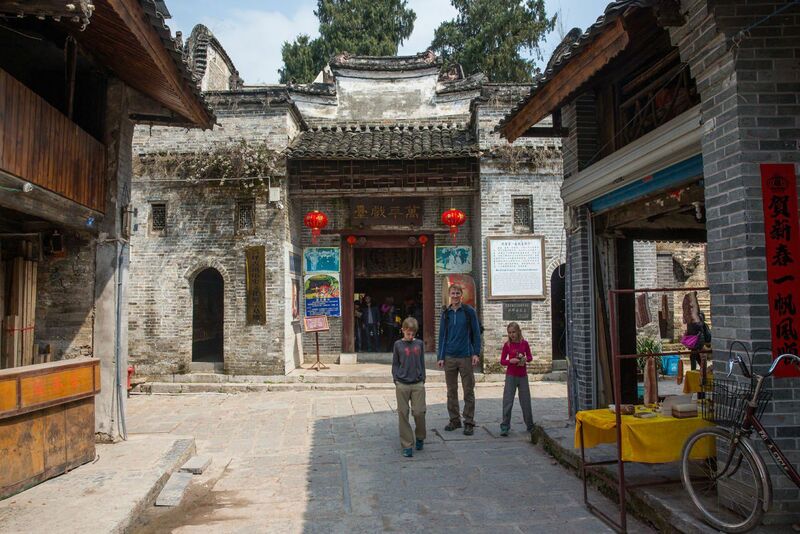 In our tour book, Xingping was described as a quaint, scenic town. I don’t know if I would go that far. 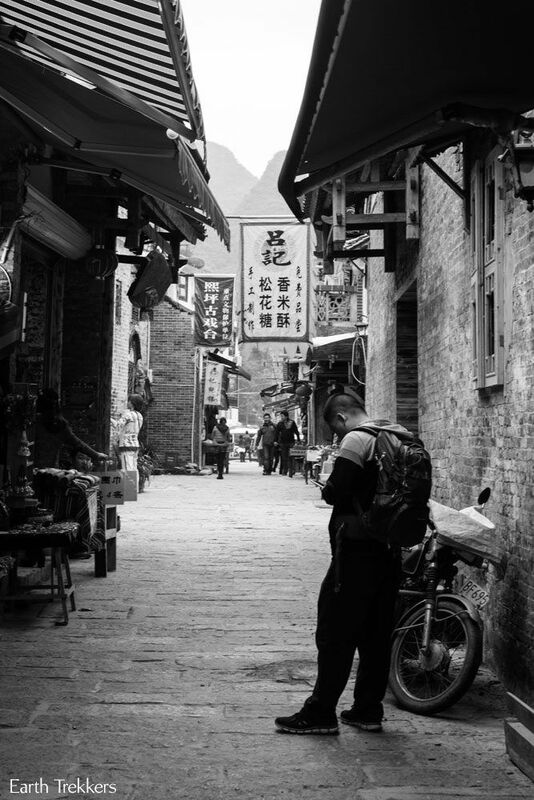 Functional buildings with stores that opened directly onto the streets, small bustling restaurants with patrons seated on plastic stools and eating from metal bowls, small shops selling postcards and souvenirs to tourists…this was the real Xingping. 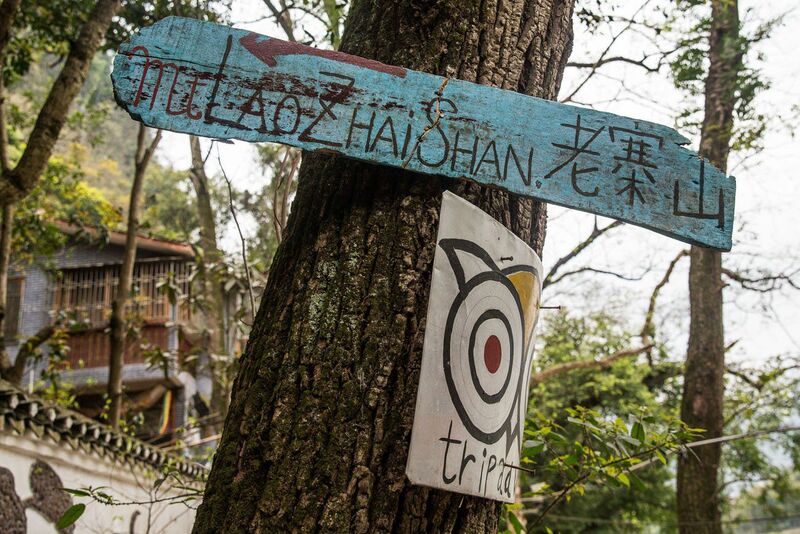 This little town caters to tourism, just as its bigger neighbor down the road Yangshuo does, although in a quieter, more off-the-beaten-track kind of way. 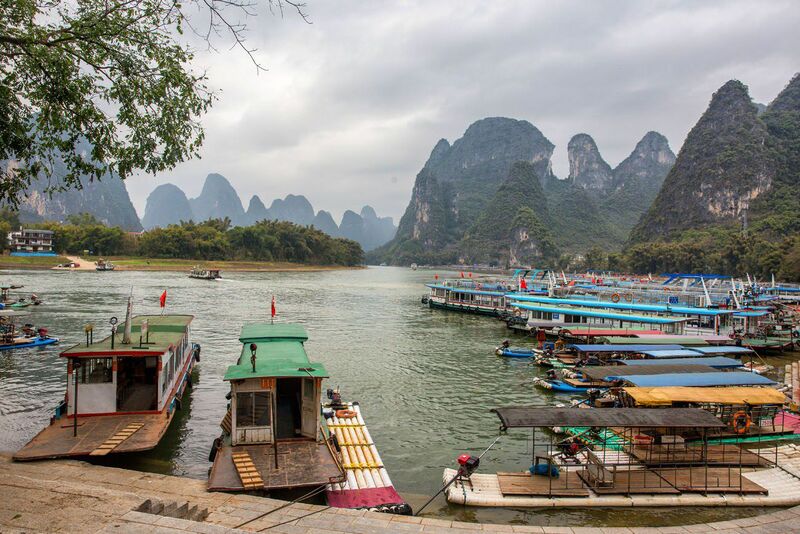 Coming here was a great day trip from Yangshuo and we loved how easy it was to get out into the nearby villages from here. Before hopping on bicycles we had a mountain to climb. Our taxi driver dropped us off at the Xingping waterfront on the Li River and immediately we were greeted by Chinese women. “Bamboo? Bamboo to Yangshuo?” Taking a bamboo raft on the Li River back to Yangshuo is a popular tourist thing to do, but since we just arrived, we wanted to see some of the sights first. We figured out how to get to the start of the climb and were quite proud of ourselves. There were hardly any signs to point us in the right direction and our Mandarin is not quite good enough to ask for directions. 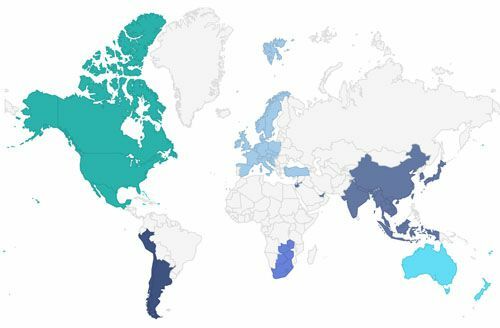 Sure, in Mandarin I can ask where something is, but once someone answers, speaking a mile per minute, I get completely confused and just stare at them with a blank look on my face. It is almost easier to wander around looking for steps that go up, since we could see the mountaintop we were trying to summit. 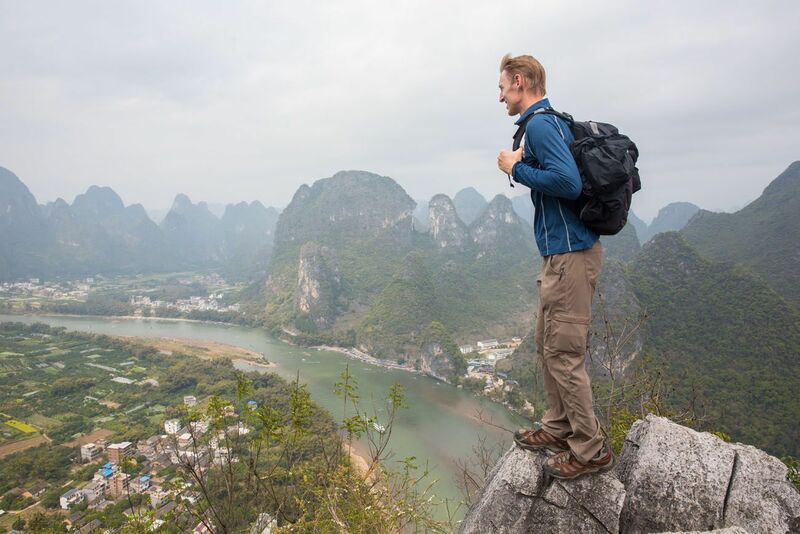 The four Earth Trekkers began climbing the Lao Zhai Mountain on a staircase made of rocks and concrete. We all climbed the steps like they were nothing, even the steep ones at the top. It was warmer today than we were expecting, with temperatures in the mid 70’s. All four of us were dressed in long pants and long sleeved shirts, so we worked up quite the sweat. On the way up the mountain we passed a few Chinese people and greeted them “Ni hao.” They said “hello” back to us. Just saying “Ni hao” brought such a wide smile to their faces. It is such a simple thing, really. Then they would ramble on in super fast Mandarin, completely unintelligible to all of us, but their enthusiasm that we were making an attempt to speak their language was contagious. 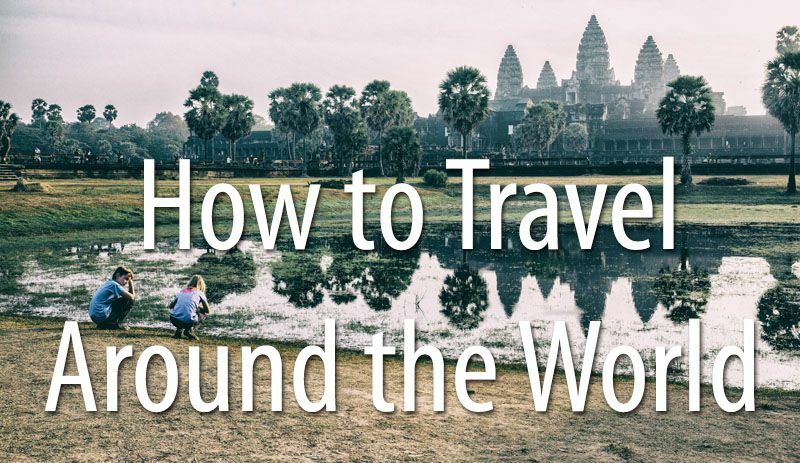 By now, we have been to a lot of places and tried to speak the local language, but nowhere has it been as appreciated as in China. 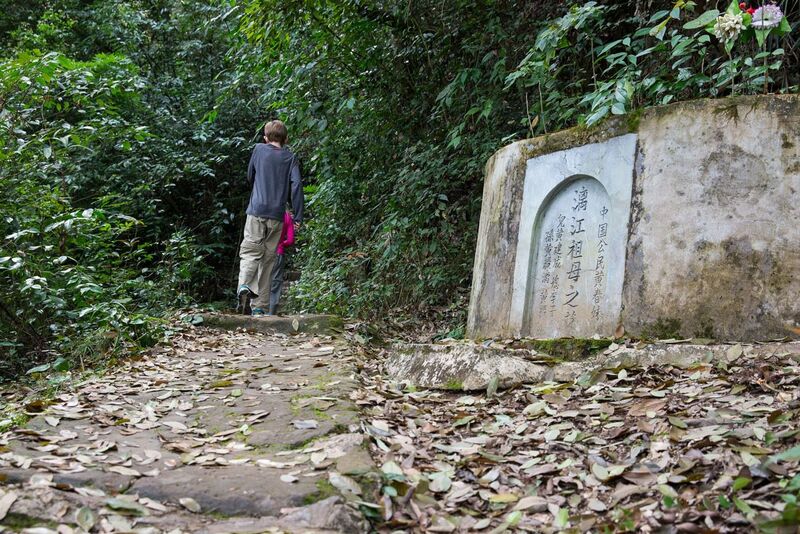 We eventually reached the top of Lao Zhai Mountain, sweaty but exhilarated. The views were amazing. 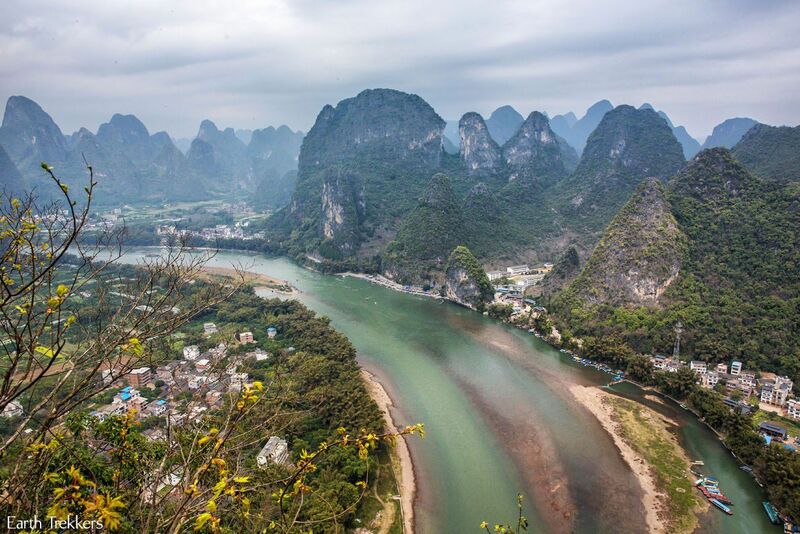 From the mountain peak we could see out over the Li River Valley. The mountains here look awesome, like something on a postcard or Chinese artwork. 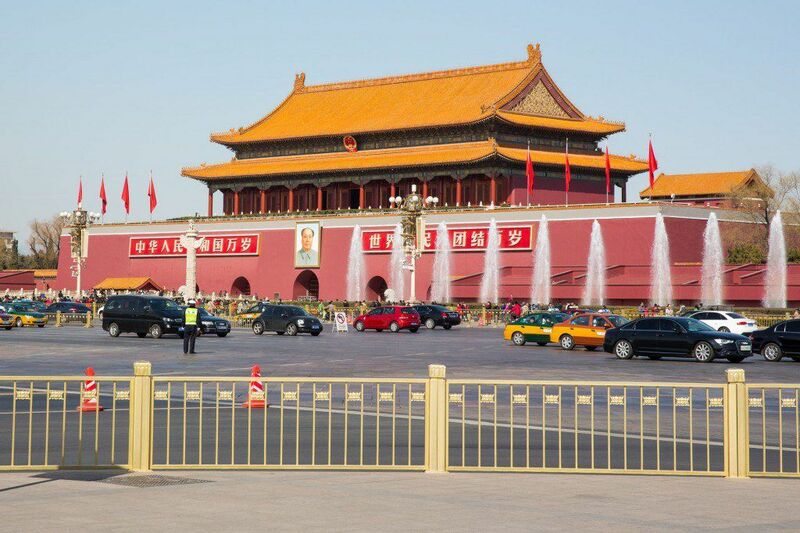 We’re in China! After lunch we rented tandem bicycles from a hostel in Xingping. Riding tandem bicycles was a first for all four of us. 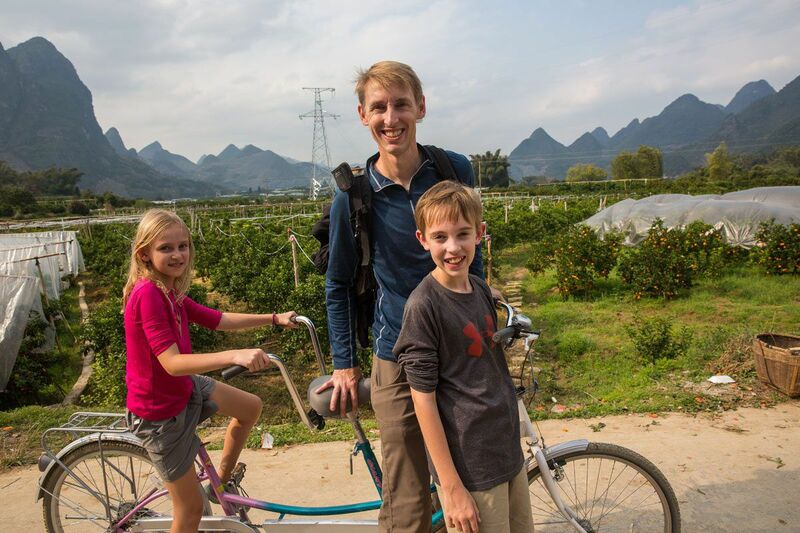 We cycled from the center of town, crossed the river, and enjoyed a scenic view of the Li River and the mountains. From the river we headed north, cycling through small villages on concrete and dirt roads. This was the highlight of our day. 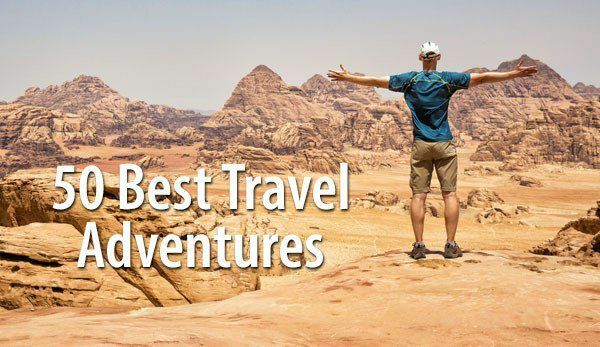 We were totally on our own at one point, cycling through green fields on bumpy dirt roads, mountains rising all around us. 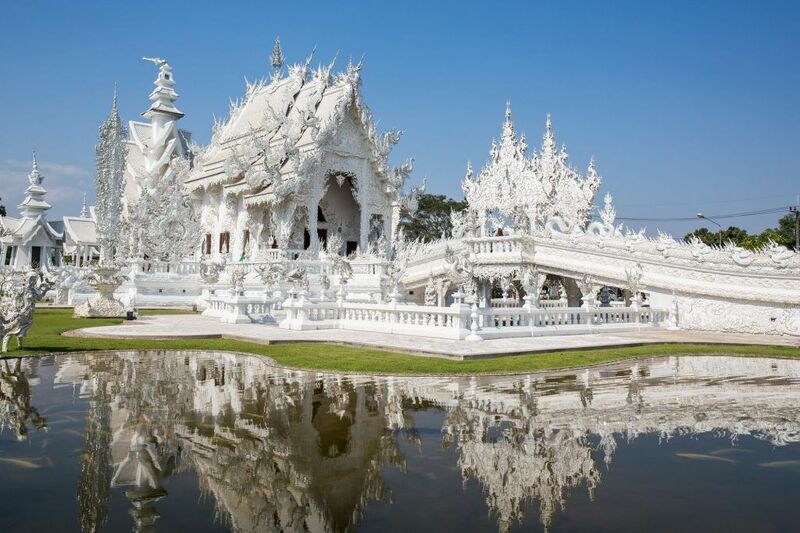 This looks like the China we have seen in photographs and now we are really here! Our plan was to cross a bridge and cycle back to Xingping, making a loop, but we had a hard time finding the turn off. 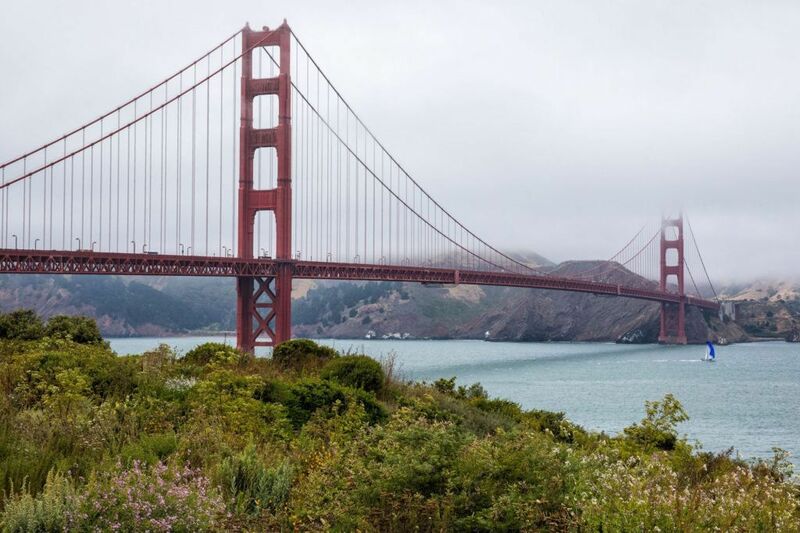 Mistakenly, we kept cycling north, which ended up being a good thing. 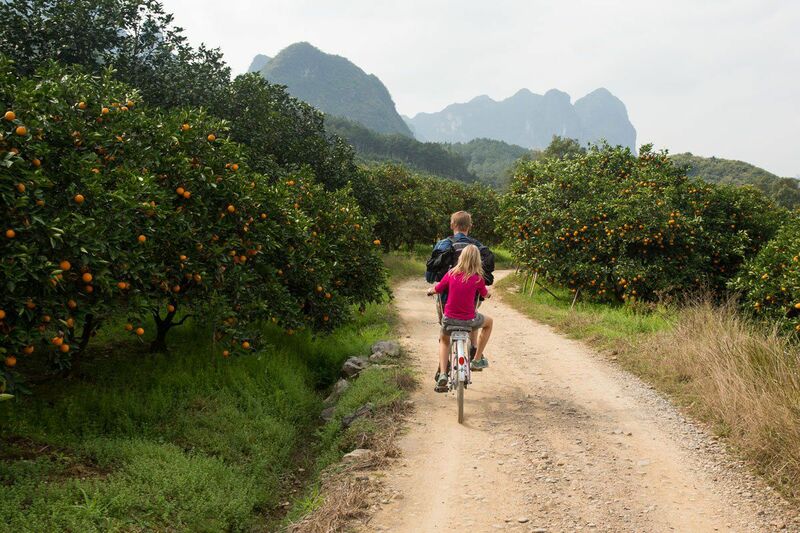 Once again we were in another village, cycling past groves of oranges and kumquats. Apparently, it was harvest season. Groups of people were sitting along the roadside around piles of kumquats, sorting them into yellow crates. We passed by this scene numerous times, sometimes getting strange stares, other times getting friendly waves. When the village concrete road turned to dirt and then the dirt road became a singletrack trail that entered a forest, we finally realized that we had missed our turn off. The four of us, on our pink and green tandem bicycles, backtracked through the village. We made another wrong turn, taking us towards the river but not across it. A group of men looked at us with surprise, and then yelled “Ni hao!” and waved to us, with big smiles on their faces. 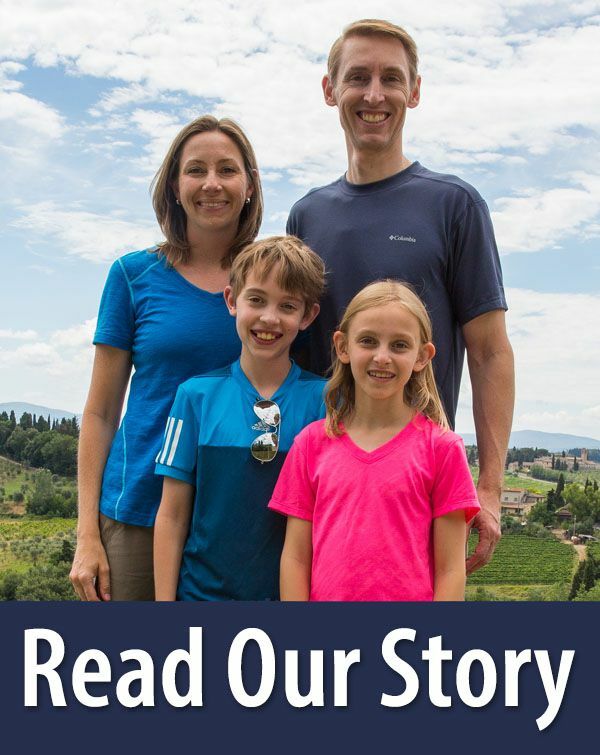 It is probably not too often that a family of Americans comes pedaling down their street. As we were turning around, again, I was greeted by a lady washing her hair. Standing outside and bent over a metal bowl filled with water was an elderly woman. From her bent over position, standing with her head almost upside down and with wet hair dripping into the bowl, she gave me an upside down grin. Her face was wrinkled and she just had one yellow tooth left in her mouth. She laughed and said “ni hao” and then something in Mandarin I couldn’t understand. I love it here. 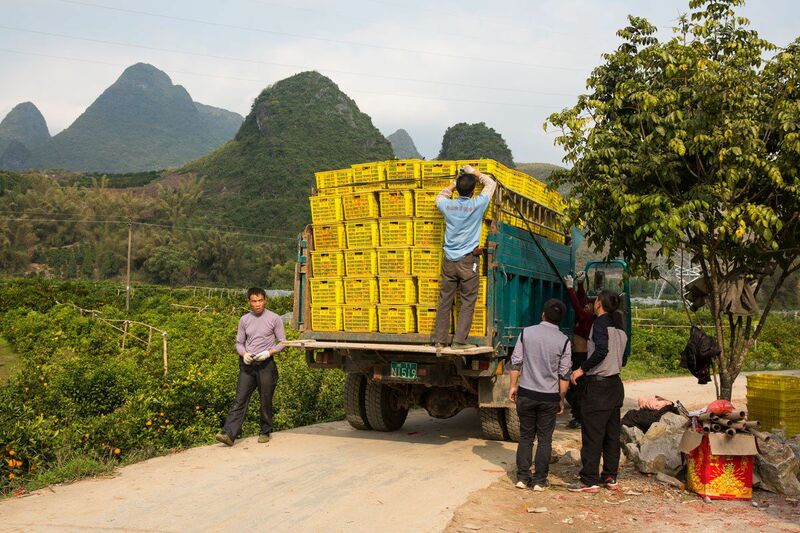 We cycled back to Xingping, briefly getting stuck behind a large truck picking up the yellow crates filled with kumquats. We found the bridge across the river, really just an uneven, haphazardly poured concrete bridge that was fun to bike across, and from here took the highway back to town. The rural, country roads were much more fun than this highway, but Tim kept things interesting by hitching himself onto a flatbed truck that we actually caught up to. Tim acted like Michael J. Fox in “Back to the Future,” holding onto the truck and letting it pull him down the road. 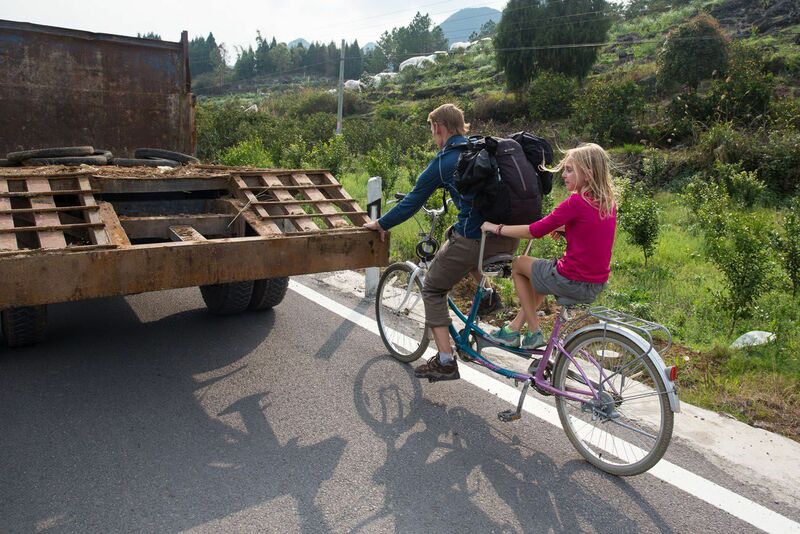 At 4 pm we arrived safely back in Xingping and returned our bicycles. 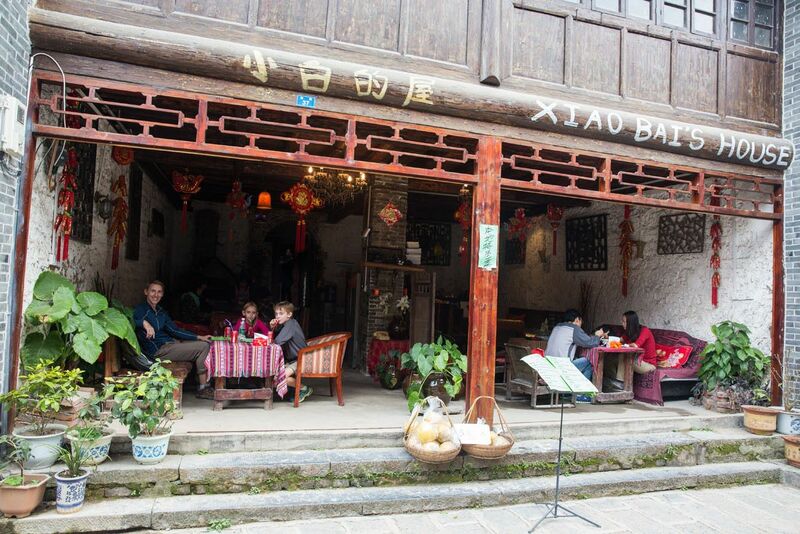 On the ancient walking streets of Xingping we sat in a café, each of us desperately thirsty and needing some time to cool off. 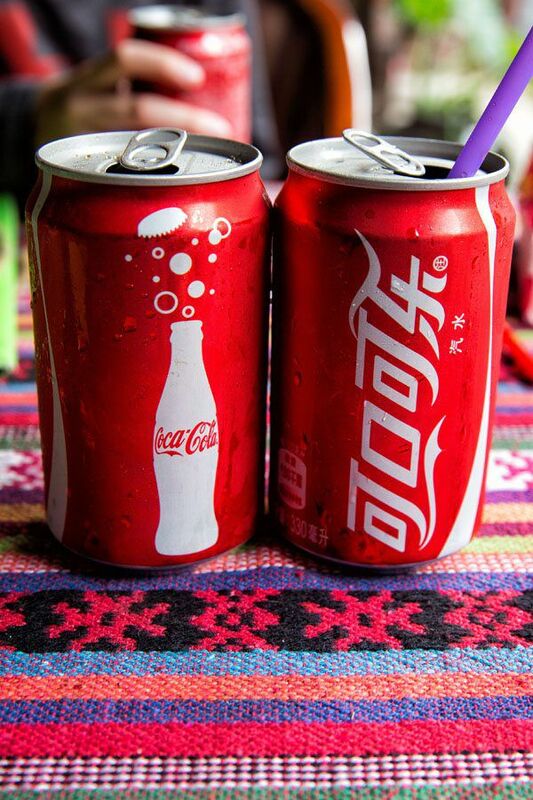 We drank Coca-Cola’s and ate some fried rice. What an amazing day. 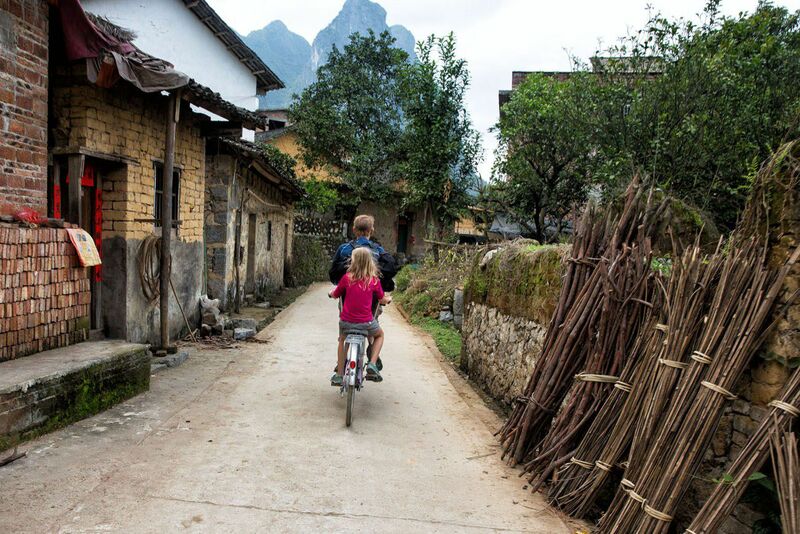 We got a chance to see iconic China by cycling through small villages, viewing fantastic scenery, and meeting very friendly, happy people. 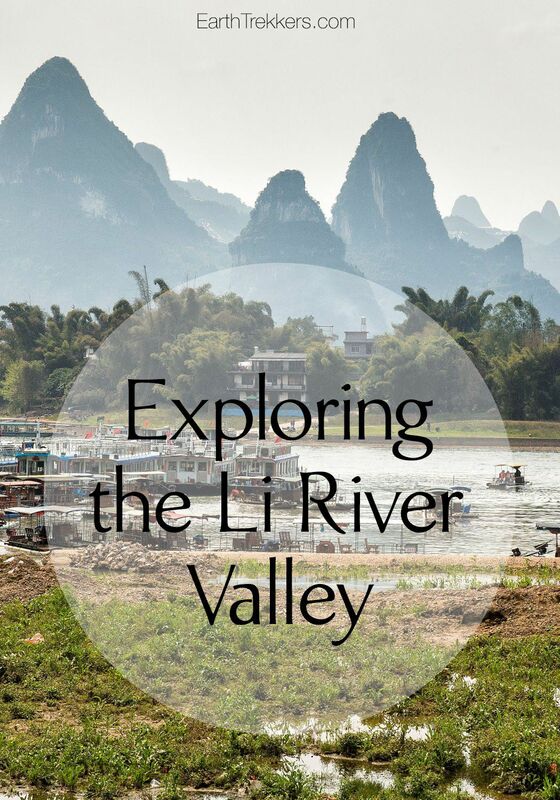 It would be a shame to visit China and miss seeing Yangshuo and the Li River Valley. 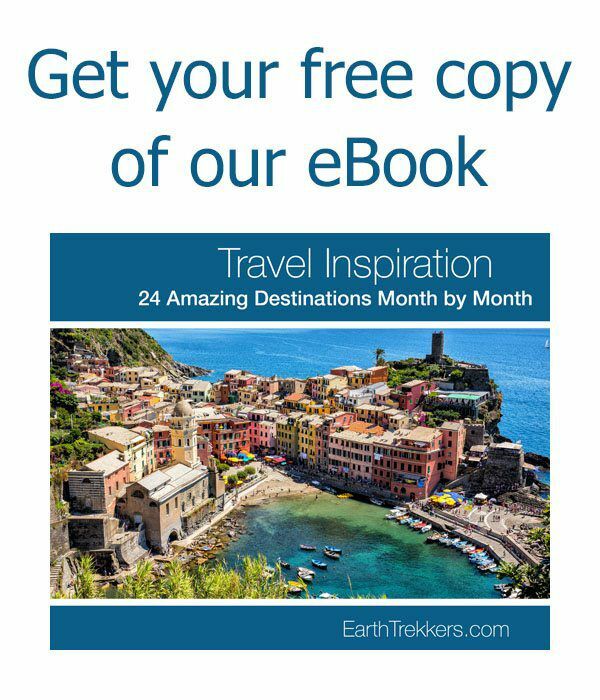 Planning a trip to China? 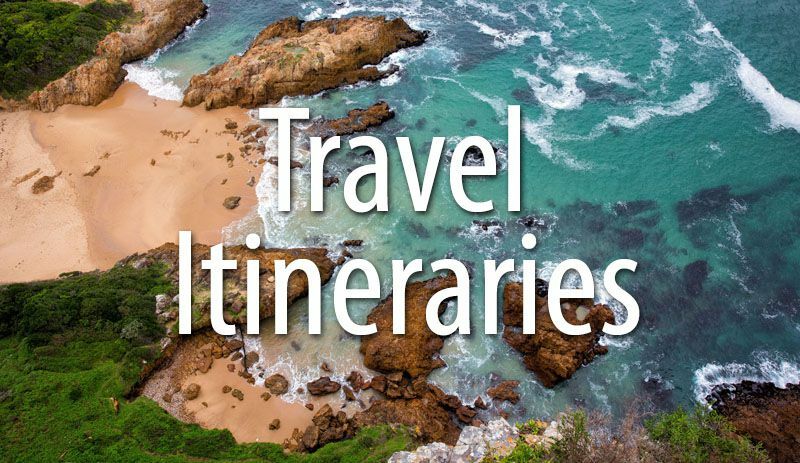 Read all of our articles about China on our China destination page. 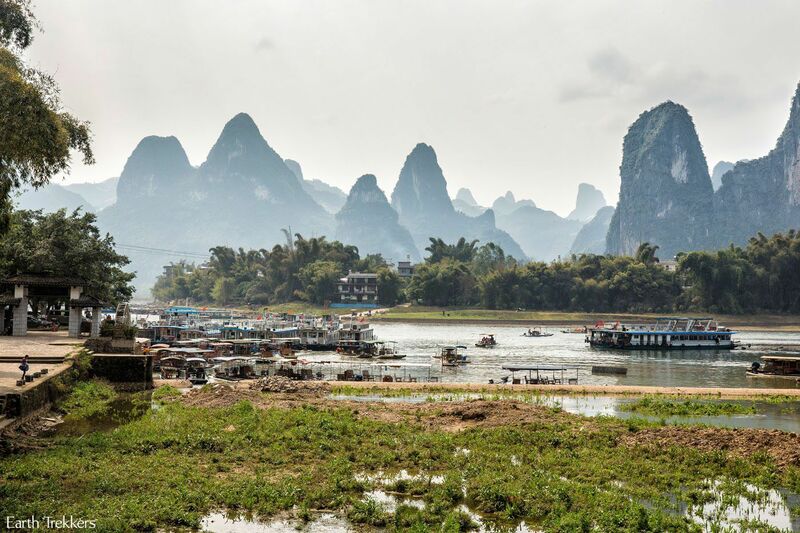 Did you end up taking the raft back to Yangshuo? 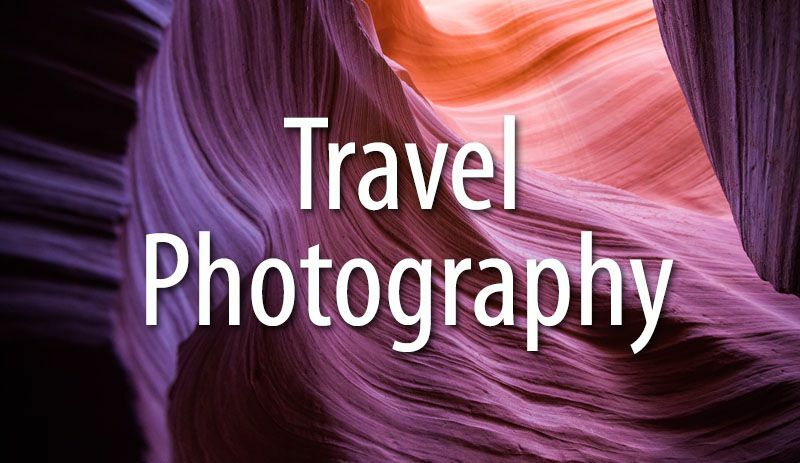 If so, how was that experience? No, we did not take the raft. We actually had a driver that we arranged through our hotel. 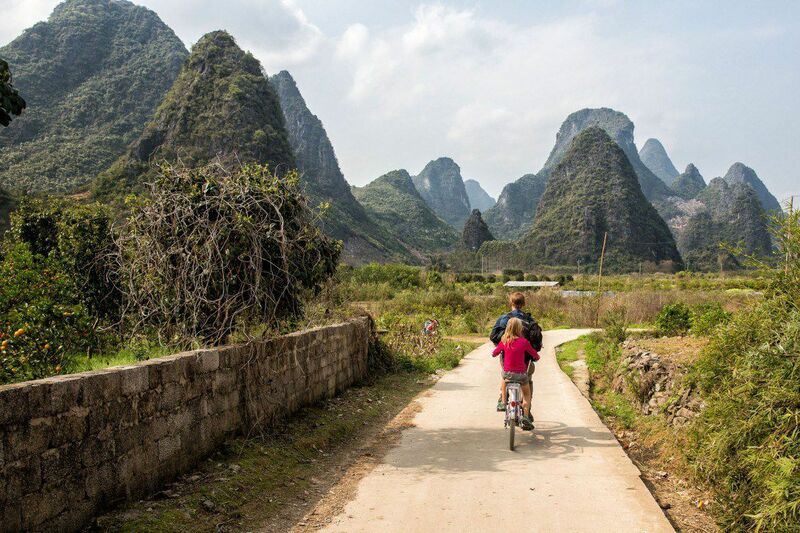 Would love to cycle in the area surrounding Xingping this summer. So it is possible to ferry bikes across Li River at the city center. 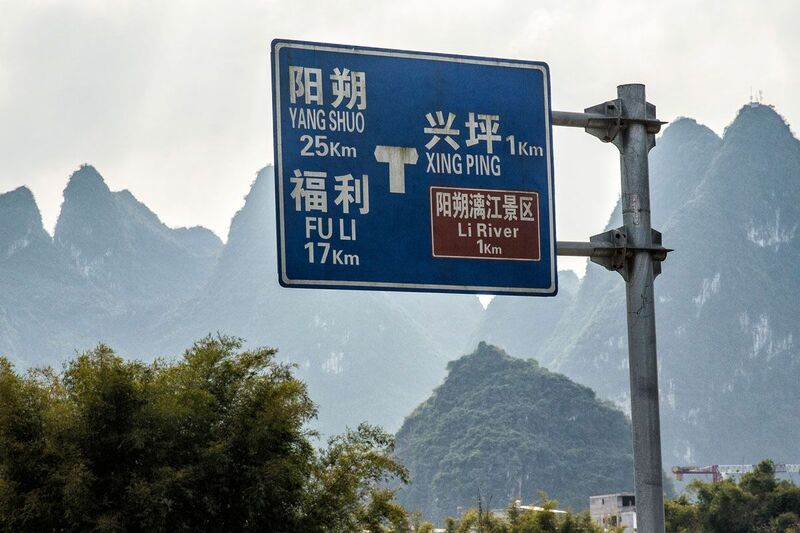 If which bridge did you guys bike across to get to the same side of the Li River as Xingping? Love this place!!! One of my favorite postings! !